So tell me… which one you like best, and I welcome your comments! I do not have patterns. I can point you to the charts I used for the logos, and I can tell you the basics of what I did (which if you are familiar with socks or stockings you’d probably do just fine with), but I did not write up patterns when I made them. 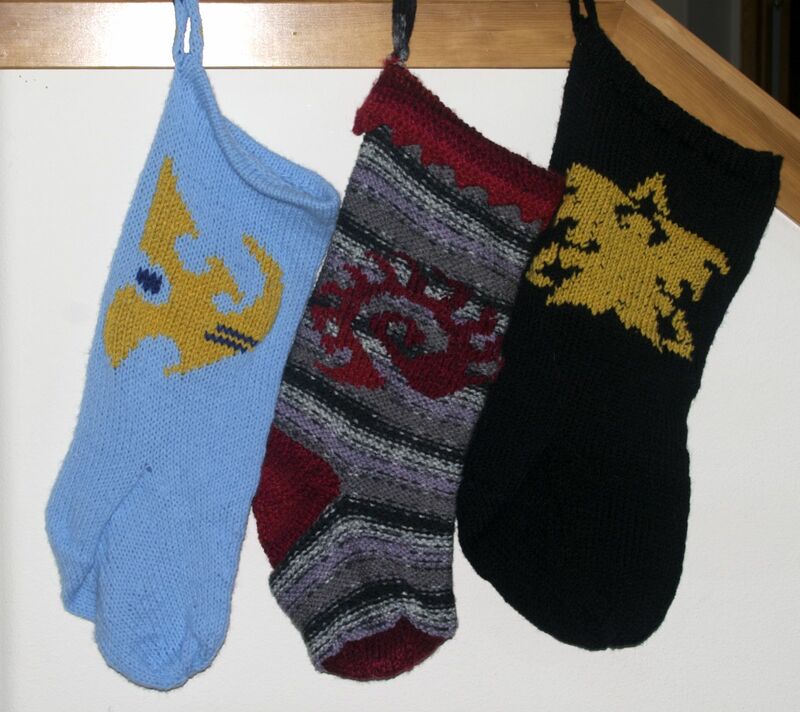 I do still have the Terran and Protoss Stockings for sale. I am fairly certain I have the Zerg yarn in my stash, if you would want to have that one made. Send me an email carlaATmisscarlottaDOTcom and let me know which you would prefer.